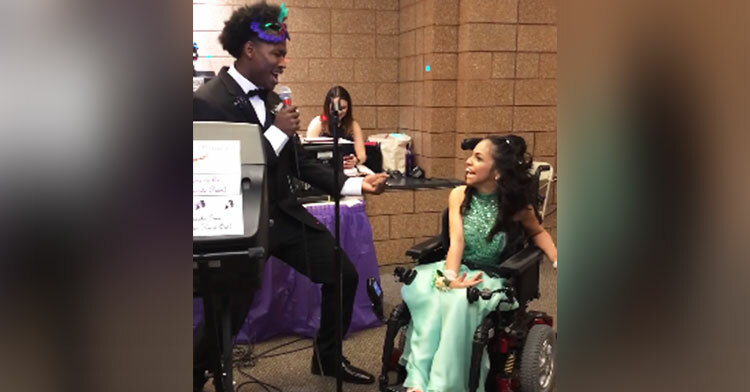 Teen With Cerebral Palsy Gets Sweetest Prom Surprise From Football Player. Every teenager looks forward to that special time of year when they get to dress up and dance at their high school prom. 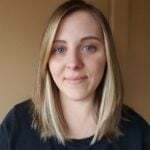 Evelyn Araujo is no exception, though she was born different from her classmates at Oliver East Oswego High School in Illinois. Evelyn has cerebral palsy, is nonverbal, and gets around in a wheelchair. 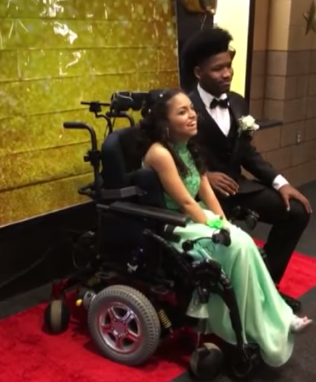 But that’s never stopped her from making friends at school… and taking a date to her prom. 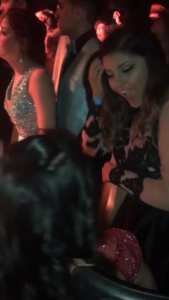 Tahj, who has cousins with special needs, made sure to give her a night to remember. “I went to her house and I brought her flowers and I put on her corsage. We drove to the prom together,” he said. Evelyn clearly had a blast with Tahj at the masquerade-themed party. She looked beautiful with her hair professionally styled, wearing a stunning green dress and a radiant smile plastered on her face. Her mom Selene tagged along, capturing photos and videos of the pair dancing as well as Tahj serenading Evelyn with an Adele song. 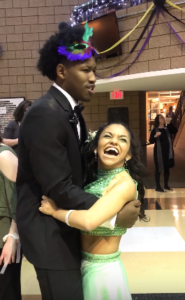 She couldn’t be more grateful to Tahj for taking her daughter to the prom. The happy teen had such a great time, in fact, that she asked to go to the school’s “regular” prom as well. Of course, Selene agreed — as did Tahj when asked to be her date again. Evelyn was so ecstatic on the way there that she couldn’t stop smiling and dancing in the car, practically bursting with energy. And when she got there, she kept on dancing along with other students as they watched Tahj busting a move on stage. 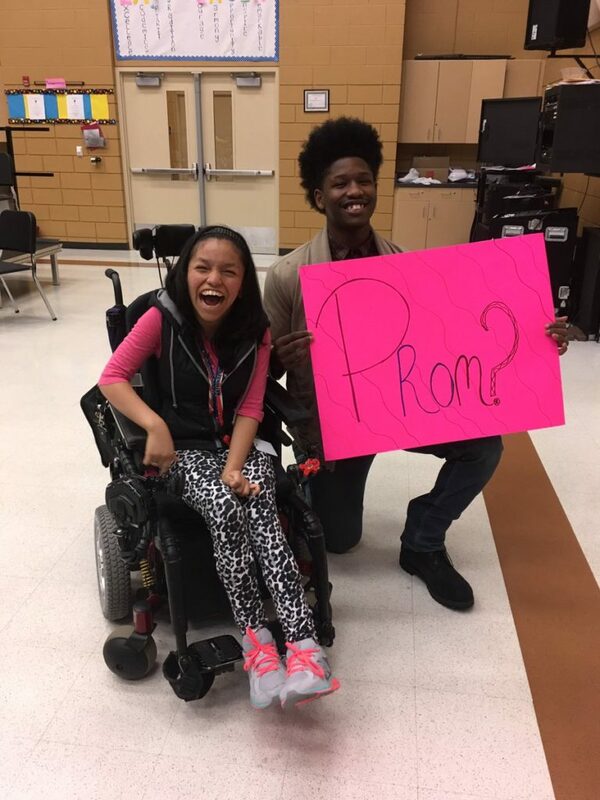 Tahj is such a sweetheart for giving Evelyn not one, but two unforgettable prom nights! We’re certain she’ll cherish the memories forever, as she clearly does her friendship with this thoughtful young man. 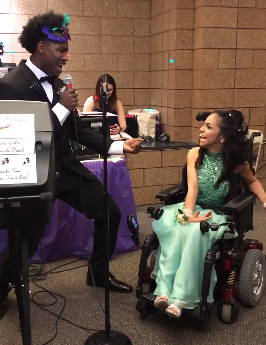 Learn more about Tahj and Evelyn’s awesome prom experience by watching the video below, and don’t forget to share.